Grab your kids and walk don’t run (because running is dangerous) to The Greene Space for an afternoon of thrills and laughs as two teams of friends battle it out in Friends for Now, a kid’s game show! Comedian Jo Firestone leads contestants through a series of games that are creative, musical, fast-paced and wacky in this podcast pilot for WNYC Studios! The friends that win the first round then become foes and compete against each other in an all-holds-barred fight to the finish. Jo is joined by musical sidekick Tommy McNamara, WNYC archivist Andy Lanset and The Judge (voiced by Avital Isaacs), who always gets the last word! 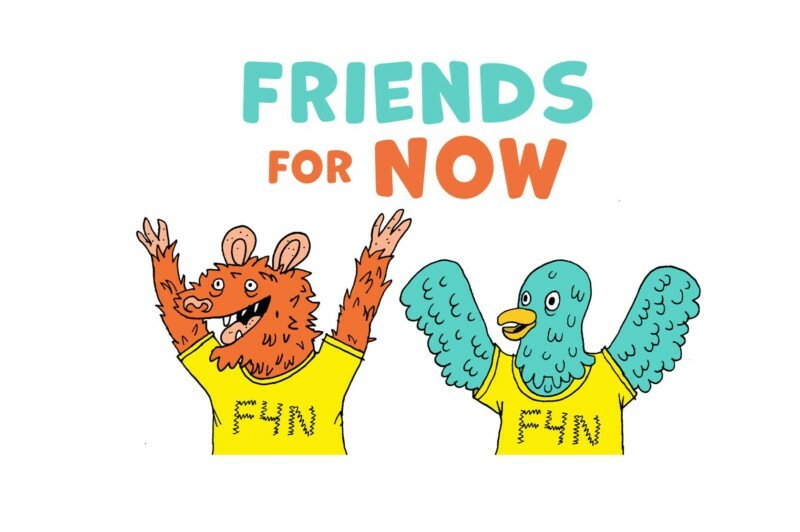 Friends for Now is fun for all ages from 6 to 64 (some games not appropriate for 65-year-olds without proper supervision)! This show will be audio and video recorded and all audience members will be asked to sign a release. New York Public Radio may use the recordings, including by making them available on the internet. → Please print and fill out the release form and bring it with you to the show.